While you might not get to indulge your sweet tooth this Halloween without permission, her sense of right and wrong is a great thing in the end. She's always there to remind you "click it, or ticket, mom and dad." Maybe she keeps a running tally of every swear word you say. You are just waiting for the day she starts fining you for each transgression. And that's not even to mention the way she knows if you've skimped on getting her the best Halloween costume. 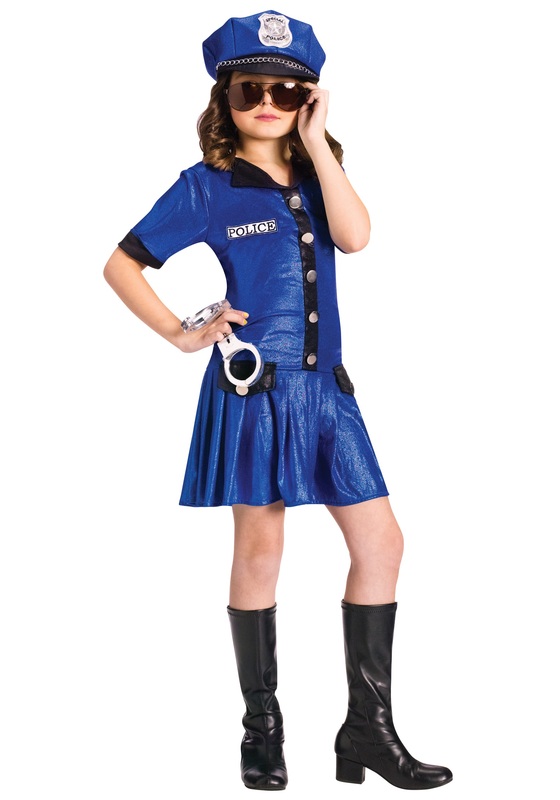 This Girl's Blue Police Officer Costume has all the right details to say Police without sacrificing any of the fun style you expect from a solid costume for girls. It comes with the dress, hat with a realistic silver badge attached. If you talk back to her authority she can just point at that badge. It'll come in handy, for her, anyway. While she would never truly impersonate a Police Officer because it's illegal (seriously, how does she even know that's a thing?! ), hopefully getting her this costume might get you off the hook for the 378th swear you've uttered this year. Probably not though, she would consider that a bribe, and she is a good cop, after all, and good cops deserve a great costume like this one.